Local eats and desert treasures. Enjoy a taste of the desert at Coyote Pause Cafe! 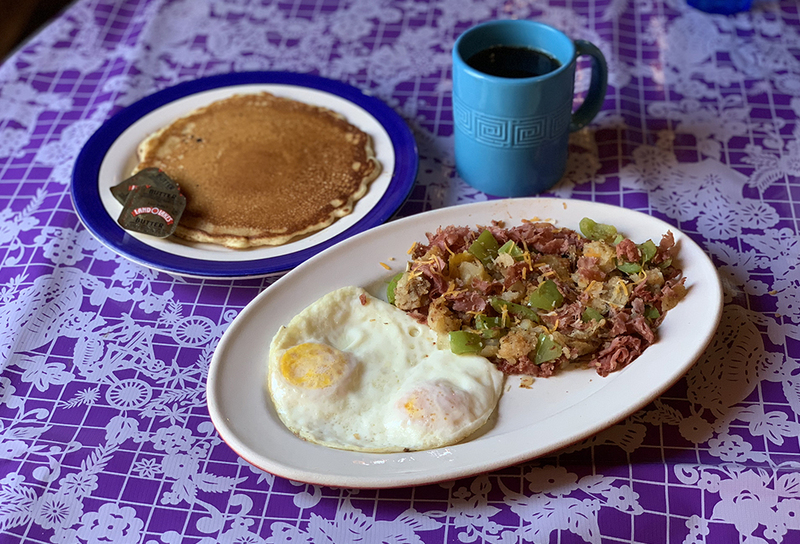 A favorite of locals and visitors alike, we offer breakfast, lunch and brunch all day long, serving up comfort food with a Southwest twist. Explore the night skies at Spencer’s Observatory. We offer personalized, guided star tours of Tucson’s dark skies in a custom-built observatory with several large telescopes. 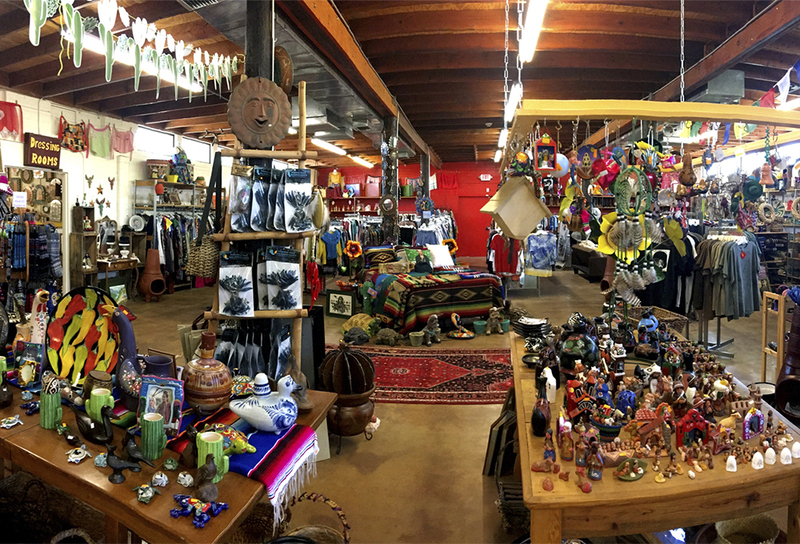 Shop an ever-changing inventory of wonderful clothing and unique items at Buffalo Trading Post! We buy, sell and trade, offering 30% of our selling price in cash or 50% in trade. Shop beautiful silver and turquoise jewelry and a fantastic selection of locally made artwork. 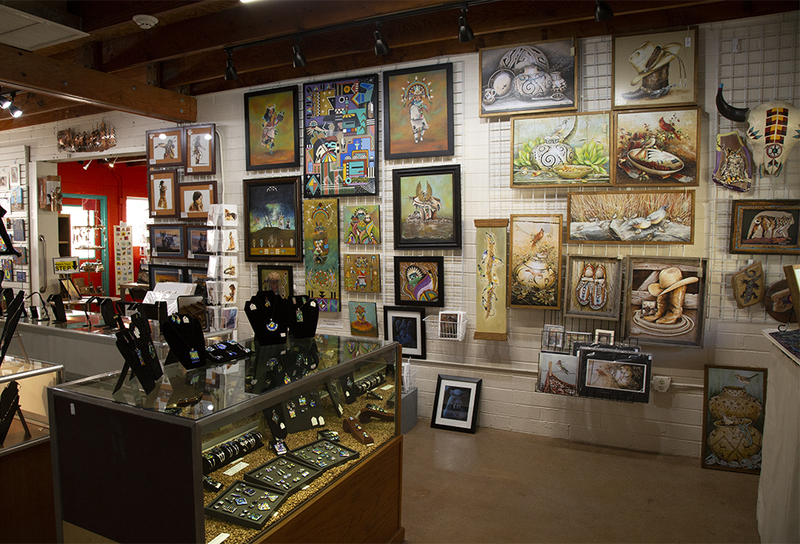 With over 65 artists in our cooperative, we have new work arriving daily! 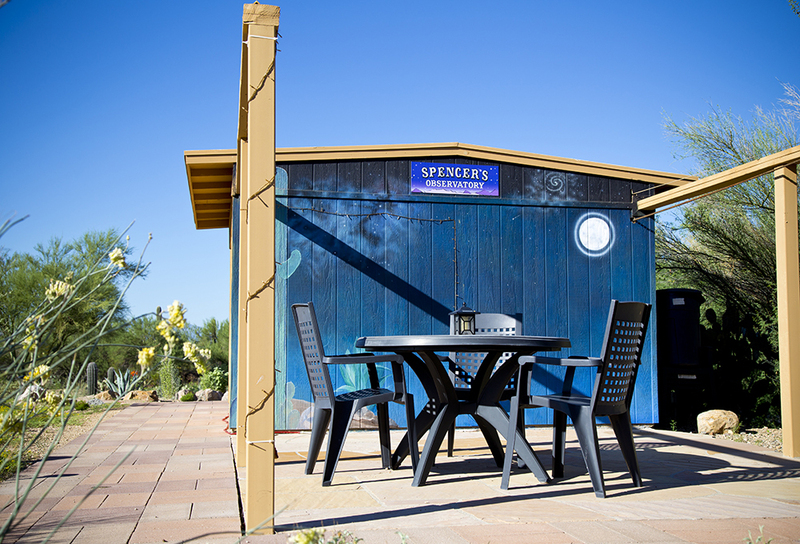 Stay at Tucson’s bed and breakfast in the desert! Enjoy comfortable, Southwestern style rooms and relax on our patios, where you can view beautiful desert scenery and local wildlife. 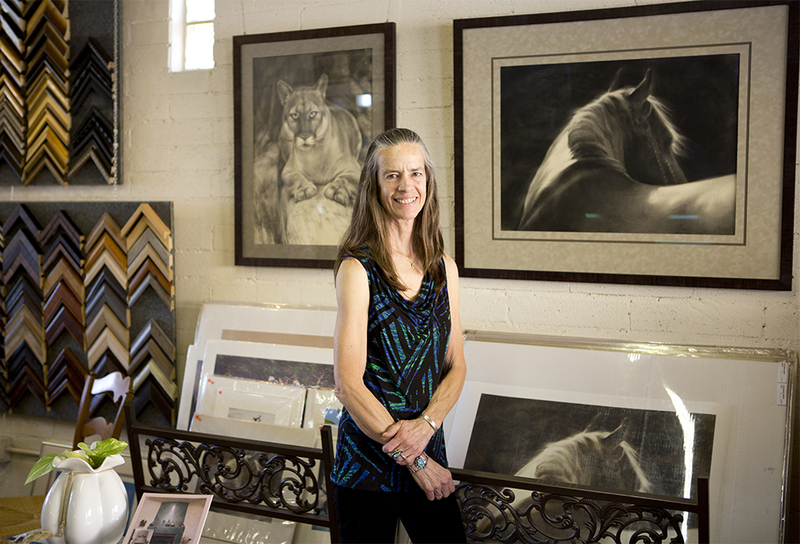 Tintype Mercantile offers a variety of local, handmade gifts – from Prickly Pear Cactus Jelly and other Southwestern delights to stunning prints of desert photography and hand-painted pottery. 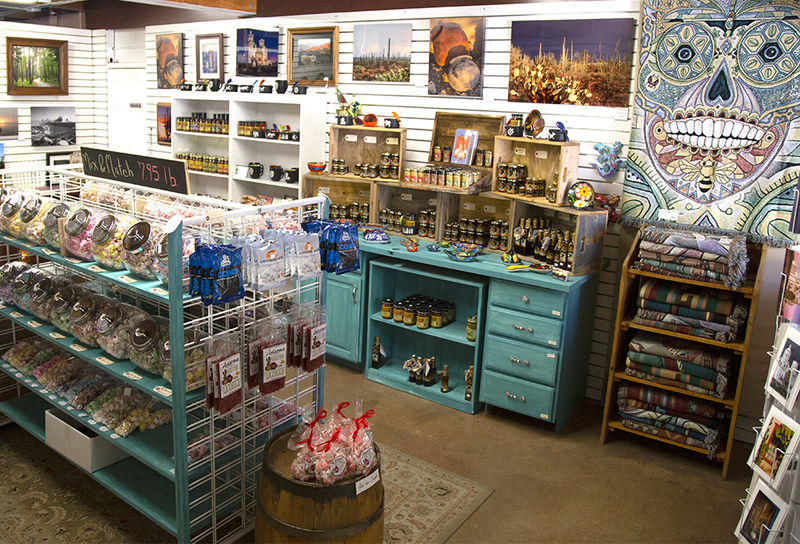 This Southwest art gallery features colorful, handcrafted jewelry as well as landscapes by local photographers Richard Lutgen, Jerry Allen and Diane Graham. Take home a signed print! We’re located about 20 minutes from downtown Tucson. It’s a beautiful scenic route! Go west on Speedway out of the city and continue on Gates Pass Road until it makes a T at Kinney Road. Turn left onto Kinney Road and enjoy the scenery in Tucson Mountain Park as the road dips and curves through the desert. 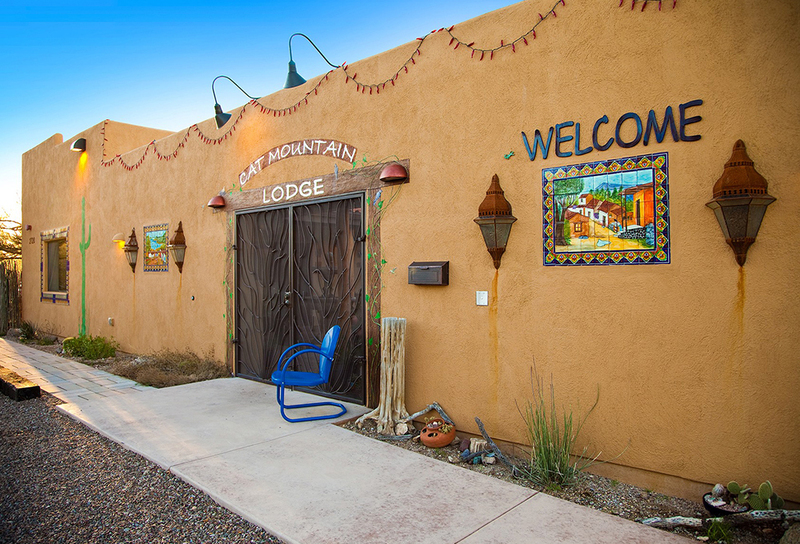 As soon as you exit the park boundary, look for Cat Mountain Station – it’s the first business on the right and you’ll see our Roadside Inn just across the street on your left. Cat Mountain Lodge is located behind Cat Mountain Station on the right. We’re located nearby Old Tucson, the Arizona-Sonora Desert Museum and Saguaro National Park West.